Amazing Any Android Data Recovery performs the highest recovery rate in the industry. 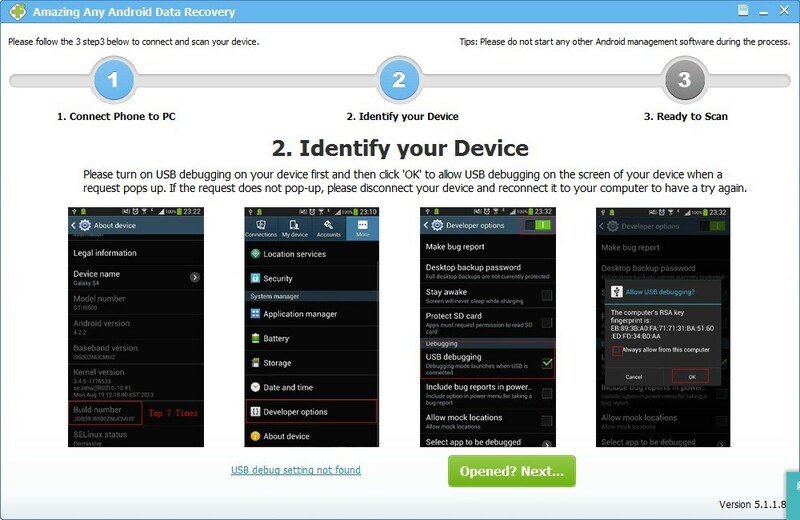 Stop using your Android phones or tablets and try to recover the lost data ASAP after finding you lost your data. 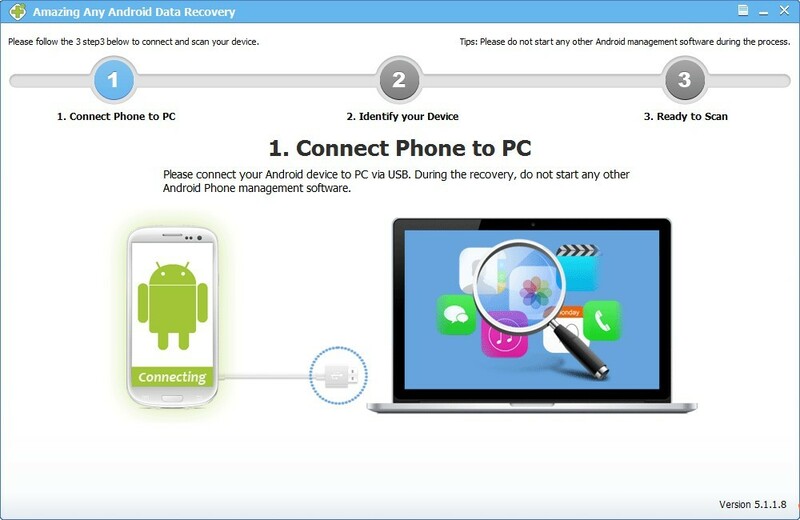 Download, install and launch Any Android Data Recovery on your computer. Connect Your Android Device to Computer. Note: You'd better connect one Android device at a time, and don't disconnect it in the process of recovery. 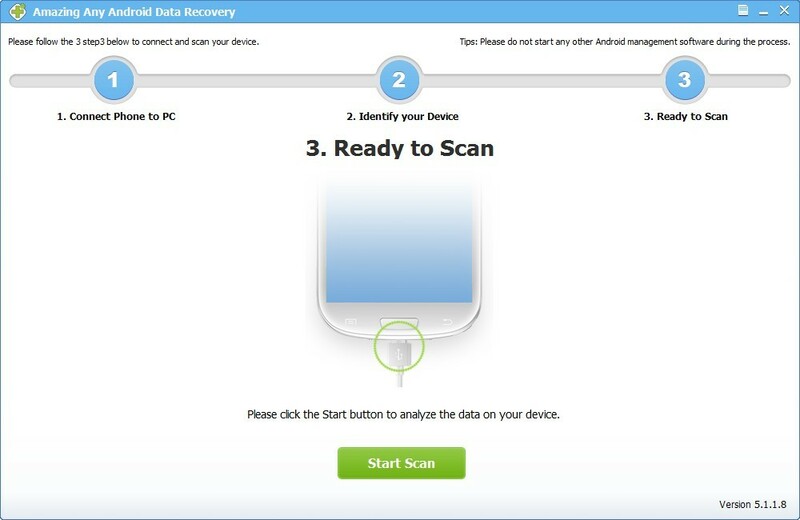 Click "Start" to scan data on Android Device. Note: If the program is unable to identify your device after you enabled USB debugging, please connect your device to the computer again and check it. You'll get a pop-up message on your device's screen. Just click "OK" to allow USB debugging.